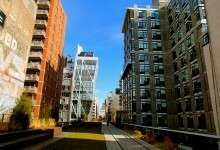 The apartment is on a high floor in the prewar elevator building. 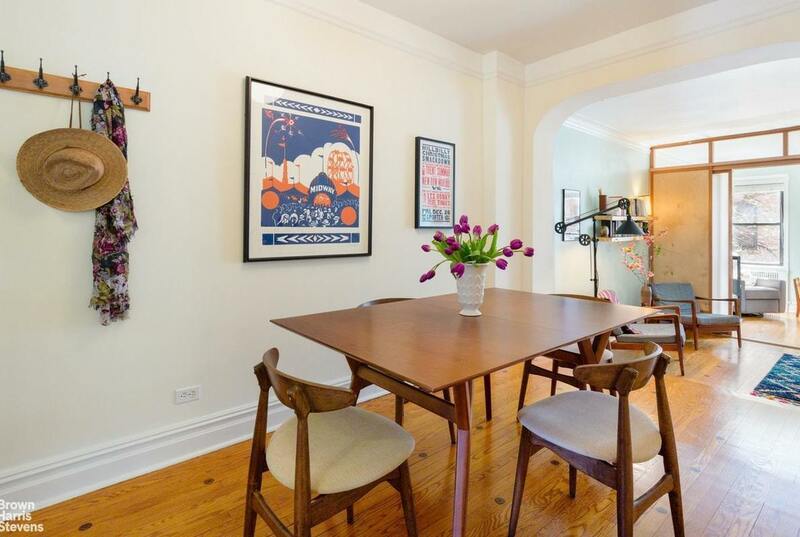 You get a lot of nice features in this Prospect Lefferts Gardens prewar co-op. 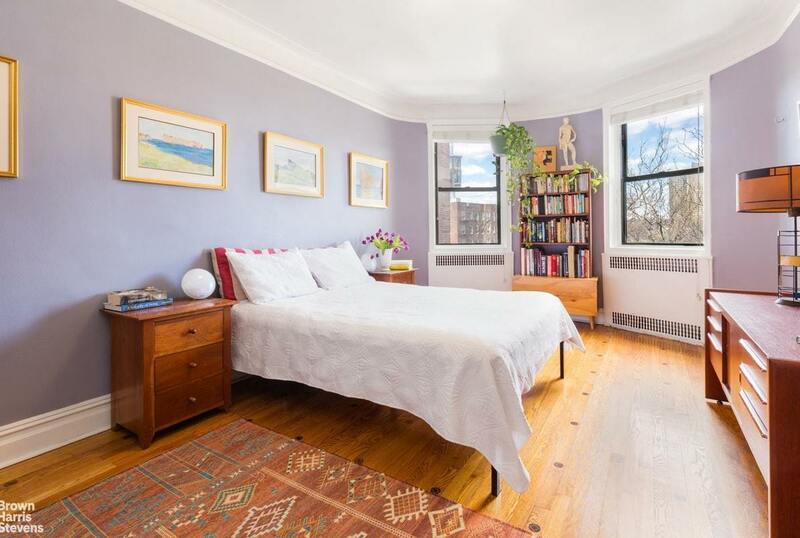 Listed for $595,000 with $868 maintenance, 50 Lefferts Ave., 5H, is a one-bedroom, one bath with an extra space that could be a nursery (its current use), office, or playroom. 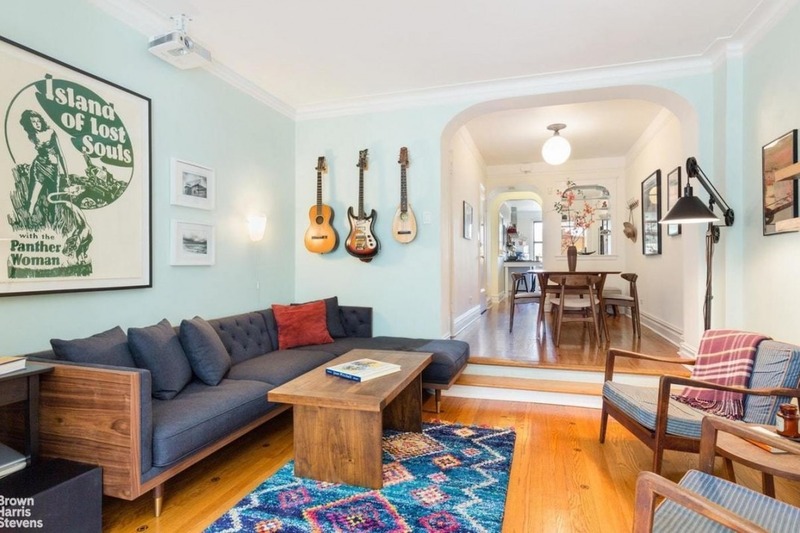 The apartment gets lots of light thanks to northern and southern exposures, and prewar details include inlaid hardwood floors, arched doorways, and a sunken living room. 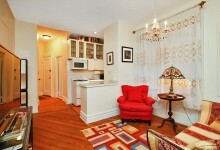 It also has lots of storage space, including two walk-in closets. 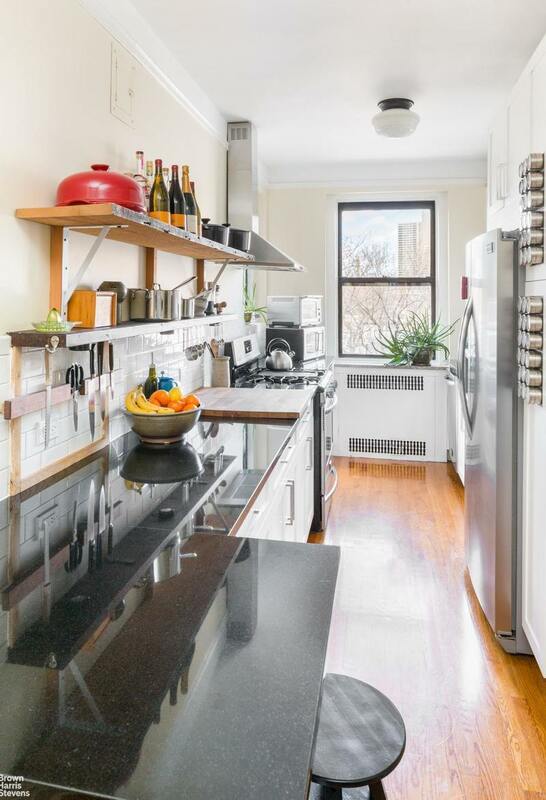 The renovated kitchen has a window, and features granite countertops and stainless steels appliances, as well as storage space. 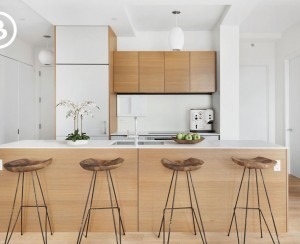 The apartment has a separate dining area that can accommodate a table and four chairs easily, an amenity you won't find in new construction. 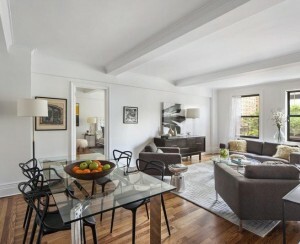 The master bedroom is large, with two closets and a bay window. 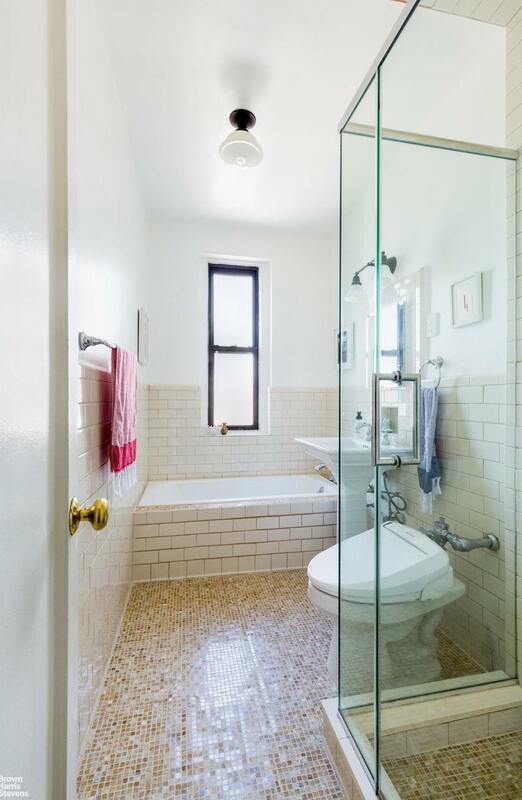 A renovated bathroom next to the bedroom features mosaic floors, a glass enclosed shower and a tub, and has a window; there is a linen closet in the hall nearby. 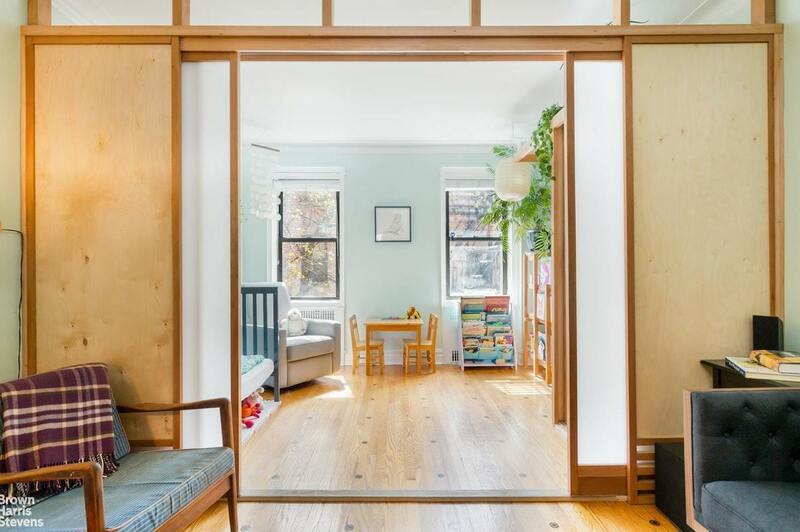 Sliding doors demarcate the bonus living space, which probably qualifies as a legal bedroom, but not a very private one. The co-op has a part-time doorman, laundry room, bike room, and is pet-friendly; there is currently a waitlist for personal storage. 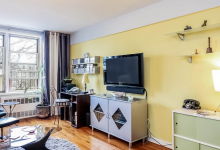 Transportation into the city is quick via the B or Q at the Prospect Park station one block away (where you can also get the S), the park is two blocks away, and shopping and dining can be done along Flatbush Avenue and Empire Boulevard. 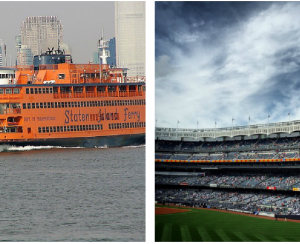 Would you rather live in the Bronx or Staten Island?